Dia de Los Muertos or “Day of the Dead” is a holiday celebrated in Mexico and cultures around the world to honor the dead. From October 31st to November 2nd, family and friends gather to remember their loved ones who have died. They honor their loved ones with private altars, bringing gifts to their graves, enjoying their favorite foods & drinks, and of course with the traditional sugar skulls and marigolds. 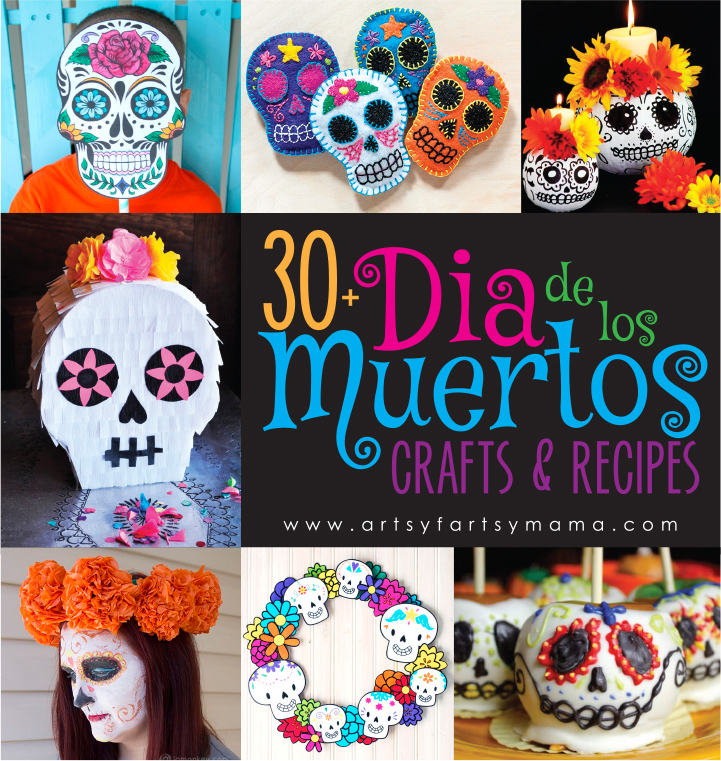 To help you celebrate this holiday in your home or to teach your little ones about it, here are over 30 brilliant Dia de los Muertos crafts and recipes! 27. Sugar Skull Wreath from Kleinworth & Co.
Do you celebrate Dia de los Muertos? Which craft or recipe in this roundup is your favorite? 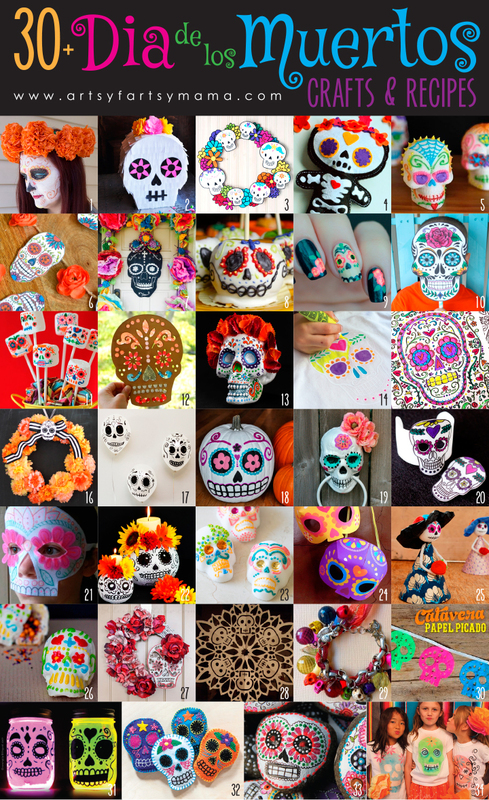 I have been fascinated with Dia de los Muertos in recent years and I think I've added some of these designs to my Pinterest board. We probably should celebrate it because we do have a lot of loved ones that we have lost. These designs are gorgeous. Gaaaa - I'm crazy for sugar skulls! I love this!!!!!! Thank you so much for including my wreath!!! !